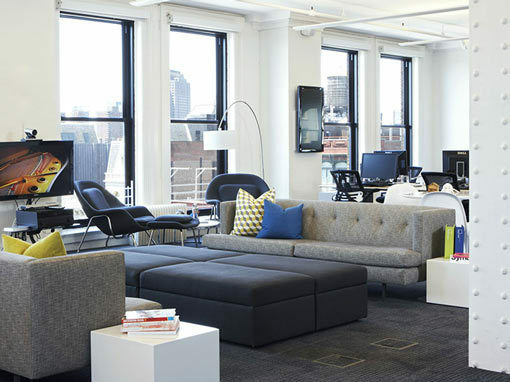 Indeed’s Stamford, Connecticut office is located an hour and a half outside of New York City. 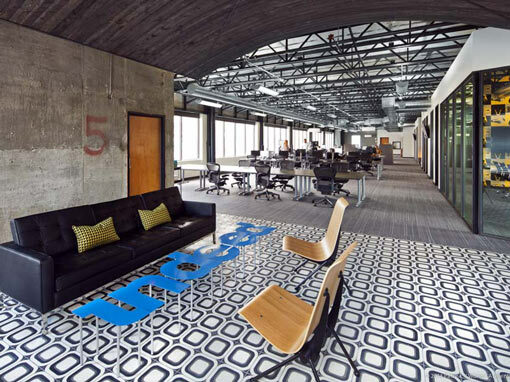 For this location, we were asked to bring energy and color to the workspace, one floor at a time. 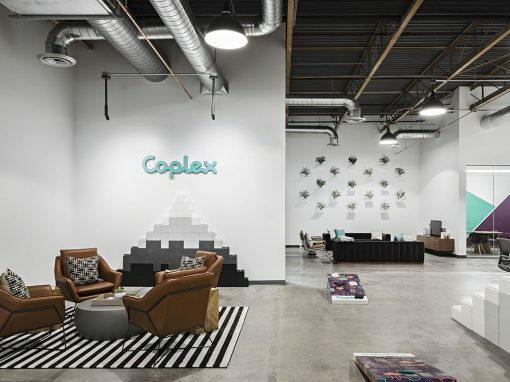 This infusion of energy is exemplified by the use of a variety of colorful patterned wall coverings which include a play on a classic toile design, customized to reflect Indeed’s brand. By repeating wallpaper patterns in different colors, we were able to add interest without inducing a chaotic feeling. 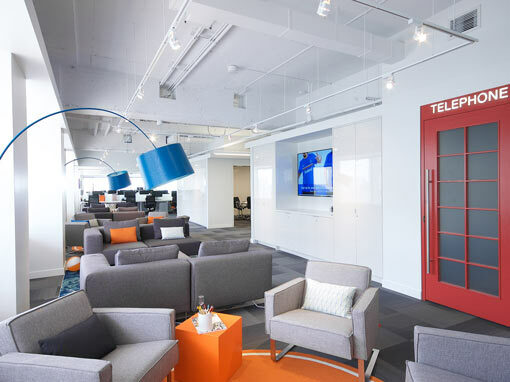 Indeed’s pantone orange and blue are also shown in specific furniture pieces, but are balanced with greys and other neutral colors to lend a touch of sophistication. Wood tones and other natural textures add warmth to the space and are offset with the layering of accessories. 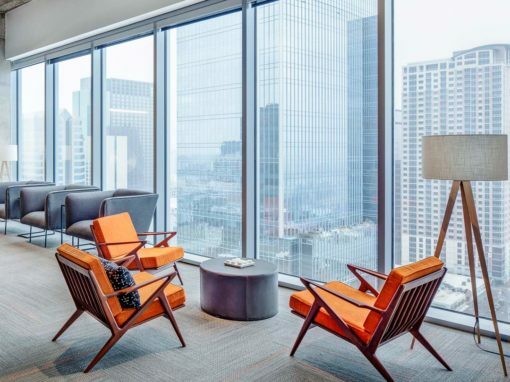 We always strive to achieve a warm, comfortable environment where employees will feel at home. 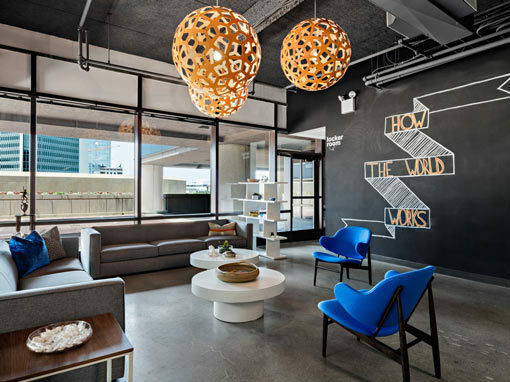 As in all of Indeed’s offices, we created breakout lounge areas to separate the workstations and give a more interesting flow to the office. 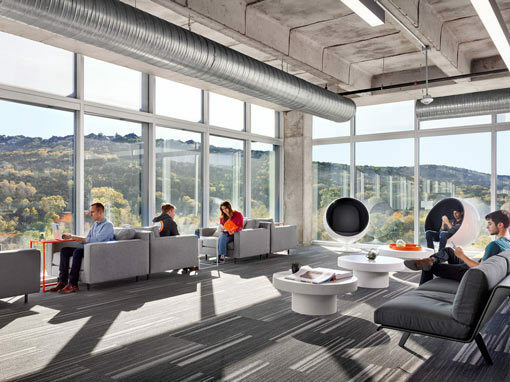 This layout also allows a variety of creative workspaces for employees. 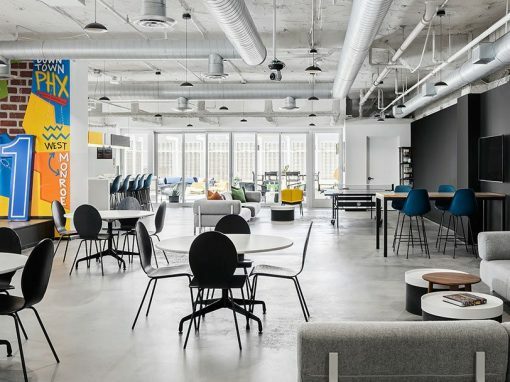 Standing-height tables with stools, fully equipped with monitor arms, provide staff members another retreat from their desks. 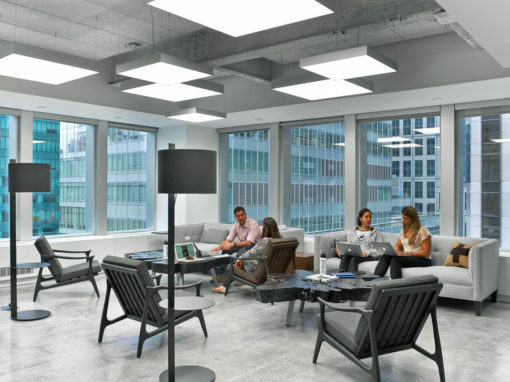 Meeting rooms, whether they are lounge-style or classic conference rooms with tables, are distinguished by unique wall coverings, installed on an accent wall opposite the t.v. for viewers to experience. 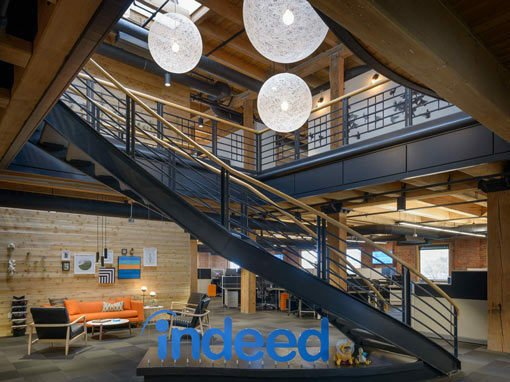 As this office grows, it continues to evolve into an even better example of Indeed’s passion for making their employees happy and inspired throughout the day.